Summertime means lots of sunshine and warm weather – what else is needed for a good mood? If you are a little tired of piles of books that, we are sure, clutter up your desk, then it’s time to switch to an easier format of studying, namely video. 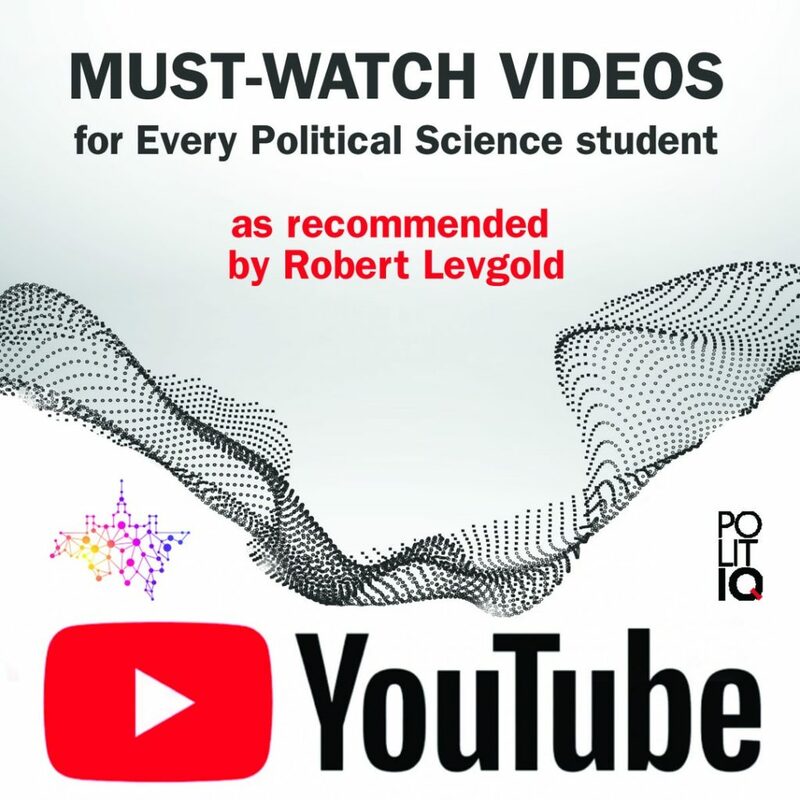 Head of the Master’s program PolitIQ, honorary professor at the Department of Political Science at Columbia University, Robert Legvold shared with us YouTube channels, which he likes to watch in his spare time. We reviewed his choice and chose short and informative videos on political topics, which we found particularly interesting. This video examines the idea of historical materialism of Karl Marx. The host is dynamically and interestingly laying out the methods of production, their development and how they fit into the general theory of historical progress along with the class struggle and revolution. At the same time, the theme of how Marx’s ideas influenced Antonio Gramsci’s idea of hegemony and the theory of conflicts in general is touched upon. The arguments about existentialism and freedom, about alienation and dialectics gave global prominence to the French philosopher Jean-Paul Sartre, as well as glorified the Café de Flor in Paris, where he used to work hand-in-hand with the feminist intellectual Simone de Beauvoir. Watch this video to better understand Sartre’s philosophy. The Republican Party is one of the two main political parties in the United States, along with its historical opponent, the Democratic Party. In 7 minutes you will track the development of the Republican Party from Abraham Lincoln to Donald Trump. Where without democracy? Professor of Harvard University Lawrence Lessig argues that modern democracy has become extremely corrupt. This led to inequality: only 0.02% of the population of the United States actually determines who is in power. Lessig says that the fundamental disintegration of the democratic system must be prevented, otherwise we will not be able to solve such serious problems as climate change, social security and student debt. The latter means that many American and British students take loans for higher education from the state. In the future, they undertake to repay this debt, for example, by deducting interest from their salaries. This problem worries many young people and is a serious obstacle to higher education in the US and the UK. What is happening in Syria and why? This short video explains the events that led to the ongoing eighth year of the civil war in the Middle East, which claimed many lives. You will understand the main players, the history, causes and possible consequences of the conflict. According to the American philosopher, Harvard University professor Michael Sandel, democracy thrives in civil debate, but, unfortunately, the debate has unraveled. Sandel discusses the importance of the debate to maintain democratic values and a critical component of justice. Recently, at the invitation of the educational project on political science PolitIQ, Michael Sandel conducted a single lecture in Moscow, in the Manege. The space of the hall was barely enough for all comers. The lecture was organized in support of the launch of the new English-language master program “Post-Soviet Public Policy” at Moscow State University. Is a good society that sells its shovel to its citizens for cleaning snow 50 times more expensive during the snowfall? Can society be called good if it raises the price of drinking water during a natural disaster? And what about “good”? Right? Acting on the grounds of a global market for buying / selling and inclusive benefits? Of course, during this significant event, a recording was conducted. You can see it on the PolitIQ page VKontakte. A link to Professor Michel Sandel’s lecture at the Manege. On these YouTube channels you could find other videos on political, historical and social topics. This format of study is fast, informative and not at all complicated! The only condition is knowledge of the English language and 10-15 minutes of free time.